Serving two million businesses and institutions in 150 countries, Grainger provides customers with the right products to keep their facilities up and running. As we grow, there’s much to be done. We have a variety of exciting career opportunities available for skilled professionals, like you! 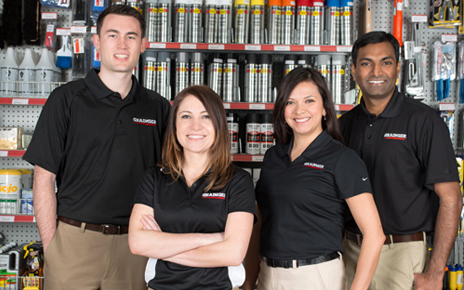 At Grainger you’ll find all the right tools to build your career. Enjoy the stability of an established industry leader, without sacrificing the chance to learn, grow, advance, and make a difference. We offer an exciting and challenging environment that encourages independent thinking, problem solving, and growth. Just as our business strives to meet the changing needs of our customers, our benefits are designed to meet the diverse needs of our team members. We not only offer a benefits package that is among the best around, we go steps beyond to make sure our employees are happy on the job - and away from it, as well. Around the globe, around the clock, we’re working to get the job done right. Interested in becoming a part of our dynamic team? Join the Grainger Talent Network today and check out our current opportunities! Talent Networks will enhance your job search and application process. Whether you choose to apply or just leave your information, we look forward to staying connected with you.